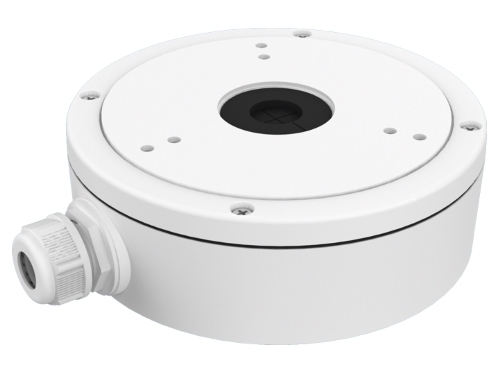 Aluminum Hikvision mounting box DS-1280ZJ-M for the DS-2CD2312 and 2CD2332 and 2342FWD-I dome camera from Hikvision. With this surface mounted box the camera can easily be placed against eg a concrete or stone surface. The connector can also be more easily concealed.